Includes airfare, all transportation, lodging, 3 day lift ticket and party! Pay online with a credit or debit card in full. If paying by check you can pay in full $700 or split your payments by paying $300 upon signing up and $400 by November 15. The total amount owed by check is $700. If paying by paypal the total owed will be $720. Includes lodging, 3 day lift ticket and party! If paying by check you can pay in full $510 or split your payments by paying $300 upon signing up and $210 by November 15. The total amount owed by check is $510. If paying by paypal the total owed will be $525. If paying by check you can pay in full $390 or split your payments by paying $300 upon signing up and $90 by November 15. The total amount owed by check is $390. If paying by paypal the total owed will be $400. Includes airfare, all transportation, lodging and party! If paying by check you can pay in full $575 or split your payments by paying $300 upon signing up and $275 by November 15. The total amount owed by check is $575. If paying by paypal the total owed will be $595. This year's trip is almost the same unbeatable price as last year and is a Copper Early Bird Special. With new alliances forming between resorts and pass operators, this deal may not be available again. We decided it was too good of a thing to pass up even though it's our second year in row. Nestled in the Ten Mile and Gore wilderness ranges just 75 miles west of Denver, Copper Mountain, a self-contained ski resort, resembles a small village. 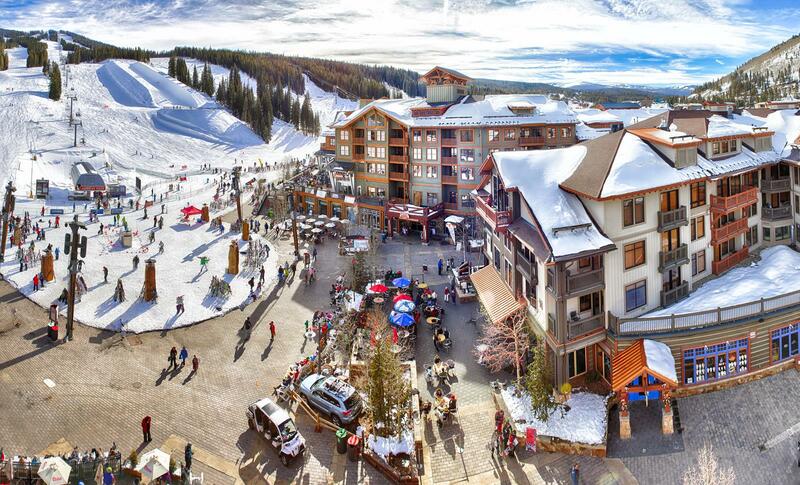 Copper Mountain is a full service resort that offers everything you could desire in a mountain vacation. Known locally as "Colorado's Perfect Ski Mountain," Copper’s naturally divided terrain which ranges from beginner to extreme assures that any type of skier will have a truly enjoyable experience. Off slope, Copper features three recently completed base villages that have redefined the Copper experience. Copper Mountain is Summit County's largest ski and snowboard resort, with total skiable area of 2,490 acres, 140 designated trails and 23 lifts, Copper has a trail classification of 21%/25%/36%/18% (beginner/intermediate/adv/expert). The American Eagle lift, a high-speed quad, will be replaced with a high- speed lift that includes a combination of both 6-person chairs and 8-person gondola cabins. The new lift will increase uphill capacity by over 40 percent, allowing more skiers and snowboarders access to an abundance of Copper’s intermediate terrain. A high-speed 6-person chair with bubble enclosures is set to replace the high-speed quad known as the American Flyer lift, offering a more comfortable ride and greatly increasing uphill capacity. The new lift will primarily serve the easy and intermediate side of the resort’s unique naturally-divided terrain and also will provide expedited access to Copper’s advanced high alpine bowls. If you think Copper is just skiing & snowboarding … think again. Kick off the boots and scope out the other activities Copper has to offer. From relaxing spa treatments to exciting tubing sessions, guests can enjoy wide-range of awesome. Whether it’s getting rowdy at Copper’s Après Ski or pleasing those taste buds at our wonderful restaurants, Copper has it all. Cross Country Skiing 25 kilometers of trails allow skiers to make their way through the picturesque White River National Forest. Additional activities include Ice skating, snowshoeing, tubing, snowmobiling, sleigh rides, dog sledding, cross country skiing, racquet and athletic club, spa facilities, shopping, dining, apres. Be sure you read and understand all of the ski trip policies as published here. *Price is subject to fuel surcharges. 1.) Pay using Credit Card or Debit Card which includes a 3% PayPal fee. (Club does not receive any part of this fee). 2.) Pay by check and receive the discounted price. Once your online payment is recorded or your check is received, your online registration will be confirmed via email.